One white pair with Black Tropical print, and one plain Black pair. Our Collection at Boxers and Briefs contains only the highest quality Bjorn Borg Mens Underwear. 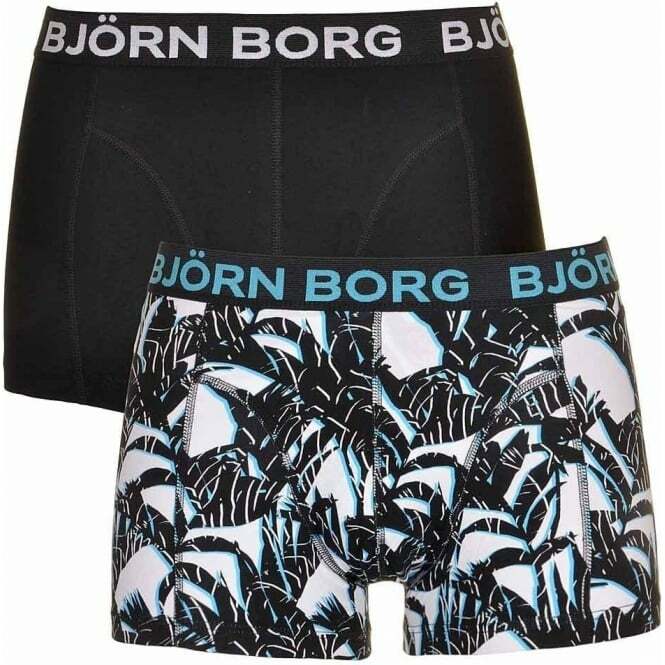 In our Bjorn Borg Tropical range we have the Bjorn Borg Tropical 2 Pack Short Shorts. We have the Bjorn Borg 2 Pack Short Shorts, Tropical available in multiple sizes ranging from size Small to Extra Large.